Those in IT know employees are not only the single greatest asset of an organization, but also their biggest risk. IT admins see the good, the bad, and the ugly when it comes to employees. Many IT admins have been a part of stealth investigations of impropriety or worse, illegal activity. IT organizations also live with the constant threat of a security breach. The infographic below shares some data on the employee risk that organizations face in the current online environment. It’s downright scary. As companies have decentralized and pushed more decision making and control to the edges of an organization, the risk of employees causing a security breach has increased. The main culprit is careless online credentials. Employees (and contractors) often will utilize weak passwords, reuse them across professional and personal sites, and not change them often enough. It’s a recipe for disaster for organizations. Just ask eBay, Sony, Target, and many others. There are major steps that organizations can take to protect themselves. 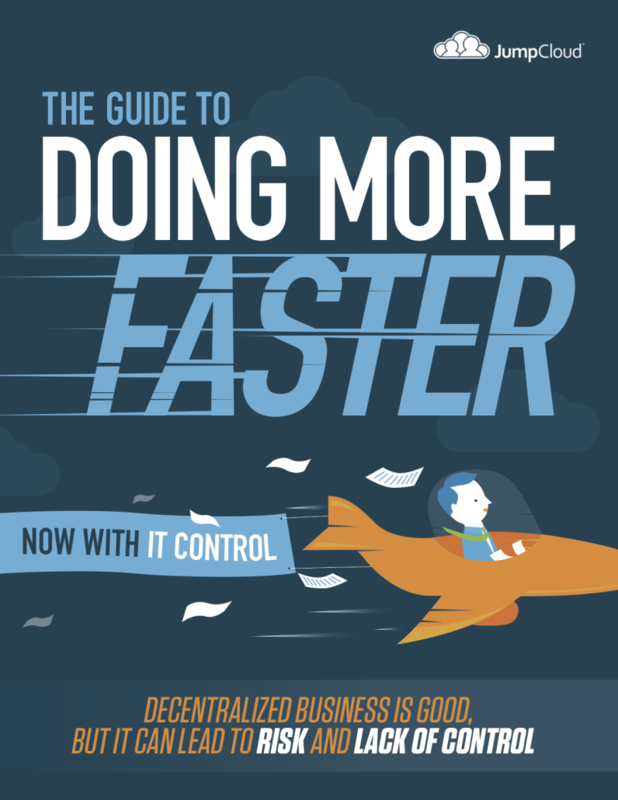 In our eBook “The Guide to Doing More Faster. Now with IT Control,” get expert advice and actionable steps from IT experts Gene Kim, Tony Bradley, Alan Shimel, Rajat Bhargava, and Ben Kepes on how to expand your business while maintaining strong controls and security. Included in the eBook are topics such as DevOps, SaaS-based applications, hybrid infrastructures and more. Our eBook details how you can leverage these approaches and still keep your organization safe.